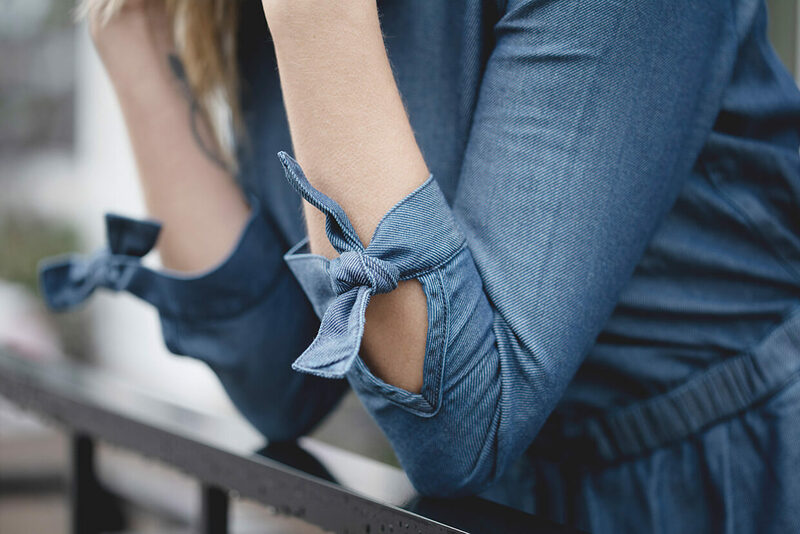 A denim dress is the perfect piece to carry you through the seasons. It’s extremely versatile and the possibilities for outfit combos are endless. Get the Look: Julia is wearing the High Life Denim Dress (XS) and All the Plaid Scarf (White, Green, Red Plaid). With the right additions, you can stay warm and on trend. 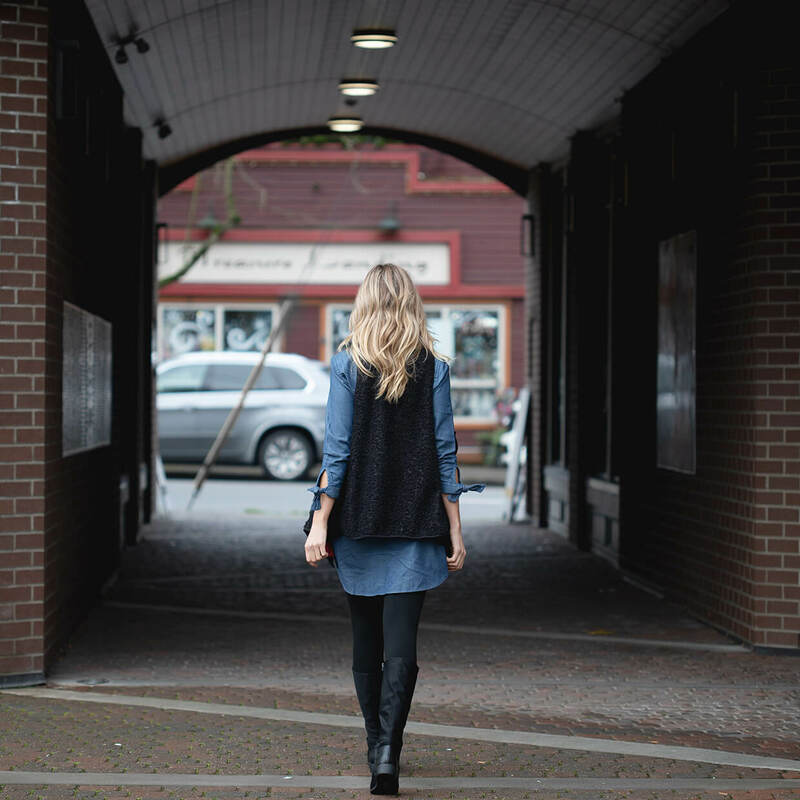 A pair of cozy leggings and some basic booties complete this everyday casual look. Get the Look: Julia is wearing the High Life Denim Dress (XS), Lean in Denim Stretch Leggings (Black, S/M), and the She’s Got Sole Booties (tan). And a reversible vest is the perfect layer to warm up this ensemble. A pair of black boots completes this winter ready outfit. We are absolutely in love with the layered look for Winter. 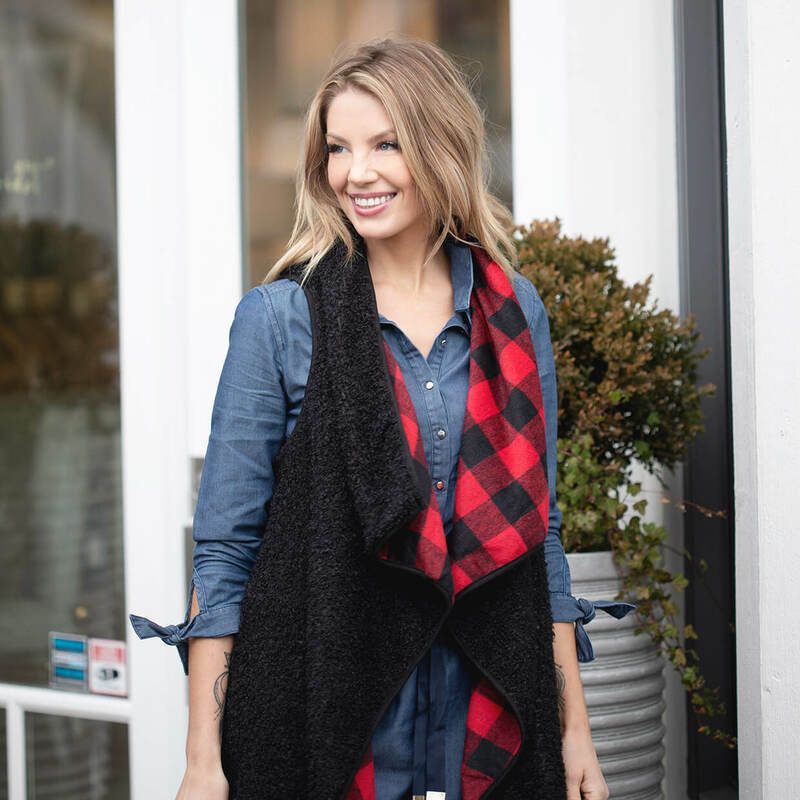 Get the Look: Julia is wearing the High Life Denim Dress (XS), Open Air Plaid Vest (Red and Black Plaid, S), Lean in Denim Stretch Leggings (Black, S/M), and Standing Tall Boots (Black). Remove the leggings and you are ready for a night out. We’ve styled our denim dress looks with the High Life Denim Dress.